Still looking how to play WWE Mayhem on PC? Now you can enjoy it on MEmu App Player. With the expectation of WWE fans, WWE Mayhem is now available to all over the world. The game is developed by UK game developer Reliance Big, it’s a wrestling simulation game with the background of WWE. 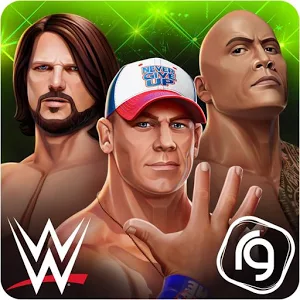 WWE Mayhem is a street wrestling simulation game that perfectly combine WWE universe, you can join combat with your WWE idols in the game, start your own WWE career, become the WWE world champion. You need to compete rivial via “move and counter”, win the rewards. WWE Mayham has include six revolutionary roles to build WWE Champion team: John Cena, Dwayne Johnson, Randy Orton, Brock Lesnar, A.J. Styles, Roman Reigns. If you are a big fan of WWE, you can not this game. The game can now be downloaded worldwide officially from Google Play and iTunes. Alternatively, if you would like to side-load the APK onto your laptop or PC you can install it from third party sites. Here’s the link to download. I recommend playing Lords Mobile on PC using MEmu Player. If you haven’t downloaded already, please install it here. If side loading in MEmu Player, install the APK you downloaded using APK icon along the right side. Once installed you will see it on your home screen list of apps. Simply open it and the first launch will begin to download game resources. Once complete you will able to play Lords Mobile on your computer! Elevate the WWE Action with 6 distinctive character classes. Create a supreme WWE Superstar squad from BRAWLER, HIGH FLYER, POWERHOUSE, TECHNICIAN, WILDCARD & SHOWMAN. Each class comes with unique strengths and fighting advantages. Build your roster of mighty WWE Superstars and join forces with other champions in TAG-TEAM match-ups. Play action-packed EVENTS in sync with real world WWE Live shows like Monday Night RAW, SmackDown Live, Clash of Champions PPV, and monthly Title events. Time your reversal perfectly to turn a loss into win! Build your special attack meter throughout the clash and utilize it as a brutal special move or REVERSAL. Be careful though – your reversals can be reversed! Build your defense with your favorite WWE Superstars and Challenge your friends in Versus Mode. Take your experience to the next level by adding additional WWE Legends and Superstars to your team. Aim for the ultimate prize – The WWE Championship Title, to gain precious Bonus Rewards with each win. Open your Lootcases to unlock new Character Classes, Gold, Boosts, special prizes, and even high-level WWE Superstars! 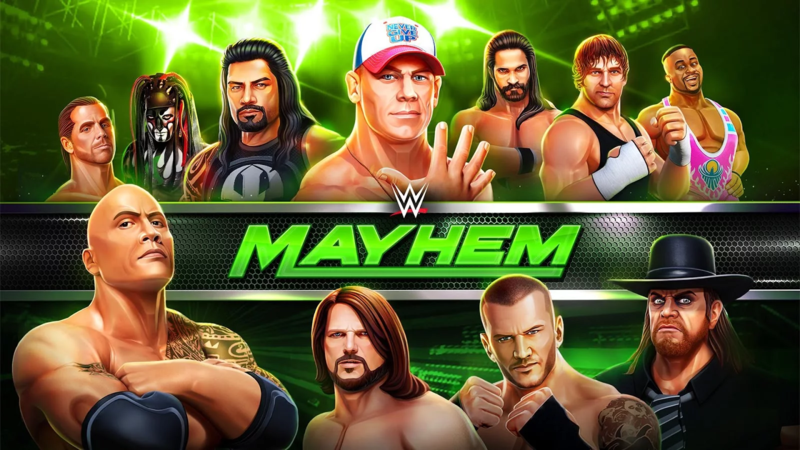 Experience the raw emotion of WWE Action Now – DOWNLOAD WWE MAYHEM! For more details about how to install and run MEmu App Player, please check as below. » MEmu 5.6.2 is Released!